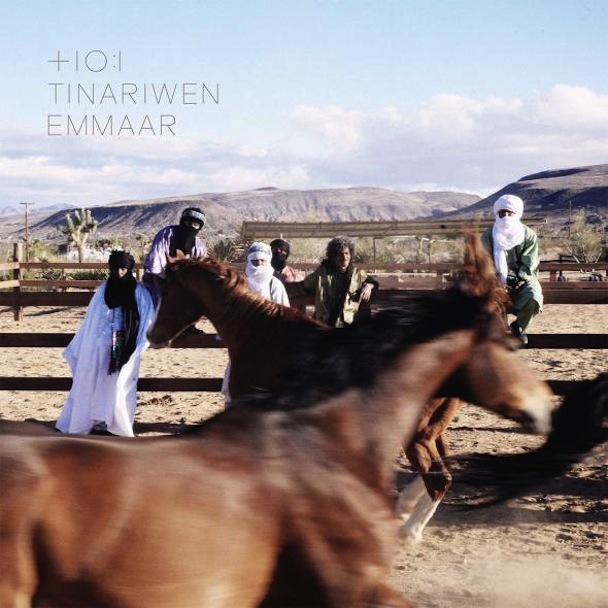 On February 11th, nomadic desert bluesmen Tinariwen will release their new album, Emaar, through ANTI- Records. The follow-up to 2011’s Grammy-winning Tassili was recorded in Joshua Tree National Park, where the collective fled to escape from the political unrest of their native Mali. Our first listen comes with “Toumast Tincha (The People Have Been Sold Out)”, a new single that finds the Tinariwen proclaiming, “The ideals of the people have been sold cheap, my friends/ A peace imposed by force is bound to fail/ And gives way to hatred.” Check out its accompanying music video below, which sees the band rolling through a seemingly endless stretch of lonely desert (via Slate).